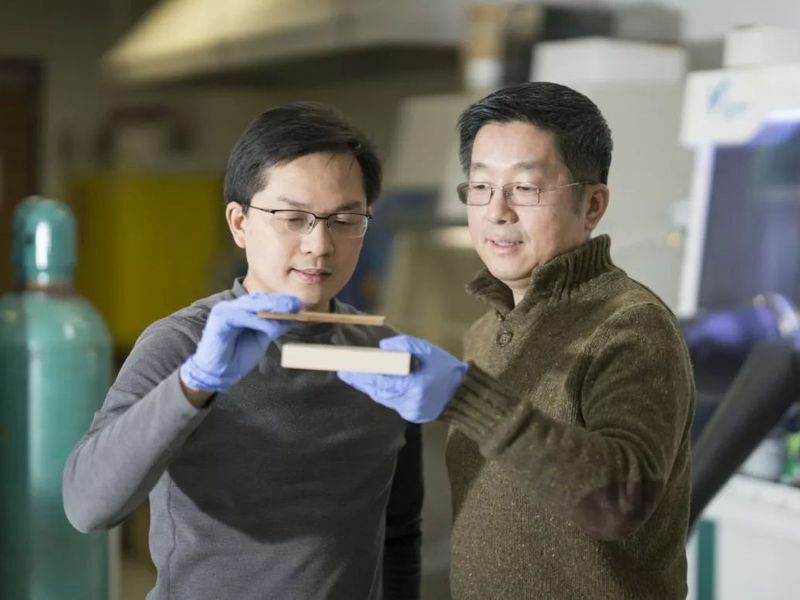 Researchers at the University of Maryland have produced a type of wood that's as tough and strong as steel. And, it's inexpensive. The wood is 12 times stronger than natural wood and 10 times tougher. It's a strong competitor to steel. A new tech treatment process developed by UMD engineers created this brand new material. This treated wood can replace steel and titanium alloys. It's comparable to carbon fiber but much less expensive. The potential uses are big and commercial scale. The engineers say this natural wood substance is strong and tough enough to construct cars, airplanes and buildings. It's as strong as steel but 6 times lighter. The wood takes 10 times more energy to fracture than natural wood. And it can be bent and molded at the beginning of the treatment process. A cutting edge innovation in materials science and engineering.